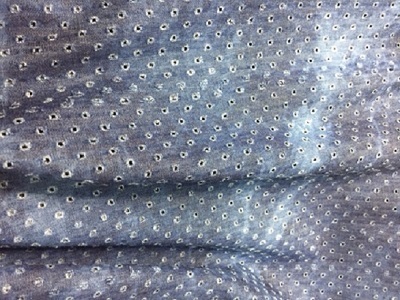 60″ wide 100% Cotton A fabulous Tie-Dye wash out denim with frayed dots. Definite a designer look to create skirt, jacket, vest and much more. Great for the young at heart – any age.